to stand in the truth of her brown skin and brown abilities. ​​I Love Your Brown creates an opportunity to have a special dialogue with your daugther to let her know just how priceless she is and how much you love her. It is the conversation you have with her that builds her self-esteem in her early years and validates who she is as she matures with hopes to ensure she does not seek it elsewhere. This expression of love will guide her as she begins to love everything about herself. As brown mothers, we understand the importance of celebrating brown beauty, in its richness, in its distinctness, and its essence. I Love Your Brown does just that. 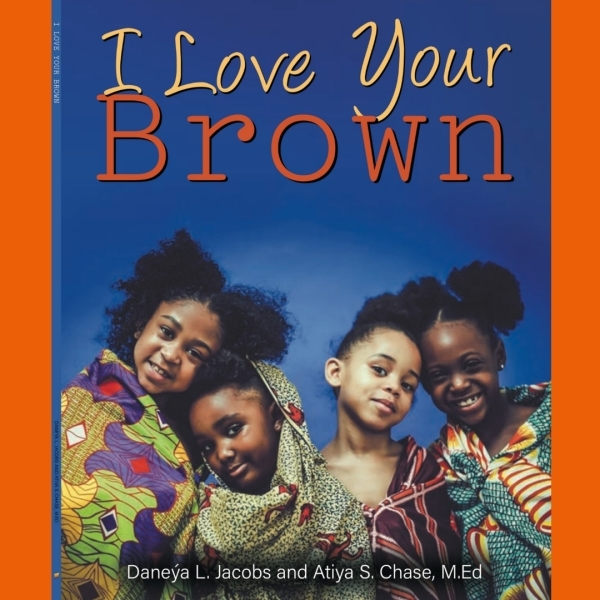 We have created a book that highlights beautiful brown girls as they stand in their truth. This truth is different for each girl depicted in ILYB. The imagery speaks of their confidence, uniqueness, and their innocence. Too often our girls are made to feel inferior because of the color of their skin and the nuances that make them different; ranging from the texture of their hair, the width of their nose, to the fullness of their lips or derrieres. Media, social platforms, music videos, television, movies, print ads and magazines, all objectify brown beauty as a singular type. The vastness of brown beauty cannot be encompassed in a particular mold. The depth of brown beauty lies in her soul, in her brown abilities, in the very things that make her different. Brown beauty should be celebrated! It is our hope that I Love Your Brown's message of love, confidence and inspiration encourages the women and girls around the world!